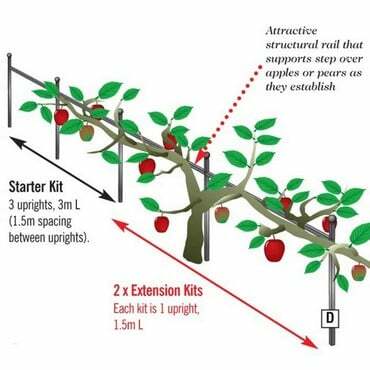 The Summer Raspberry Support uses our tried and tested high quality components. The frame is made using high quality galvanised steel, powder coated matt black for a long lasting finish and comes complete with discreet black stainless steel fixings and has a 10 year framework guarantee. 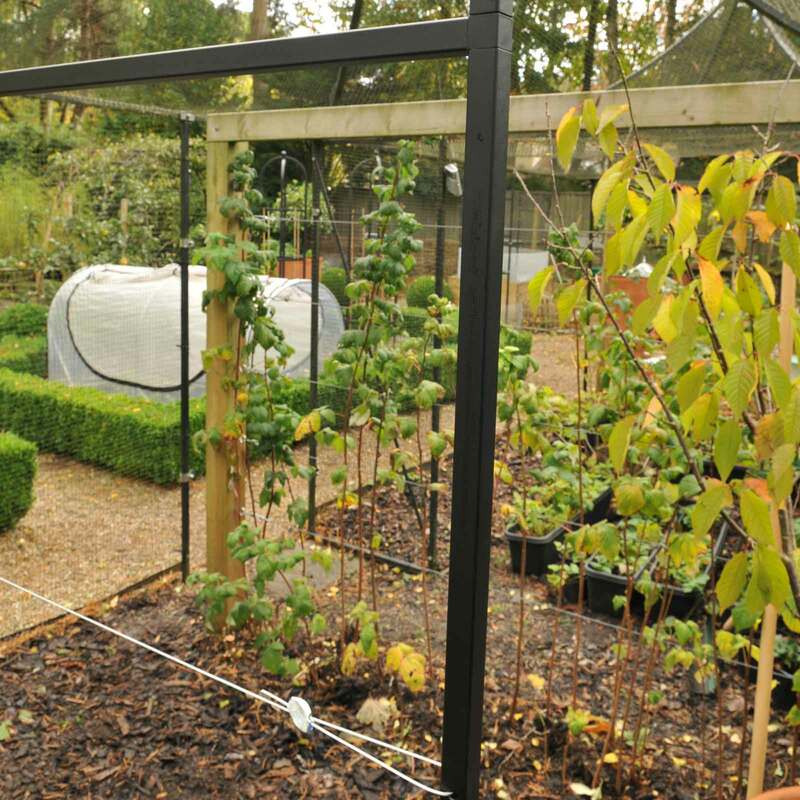 The wire support used in the frames is a 2mm diameter, high strength, galvanised multi-strand steel cable. 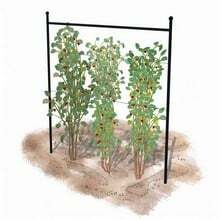 It passes through holes in all the steel posts and features professional gripple system tensioners. 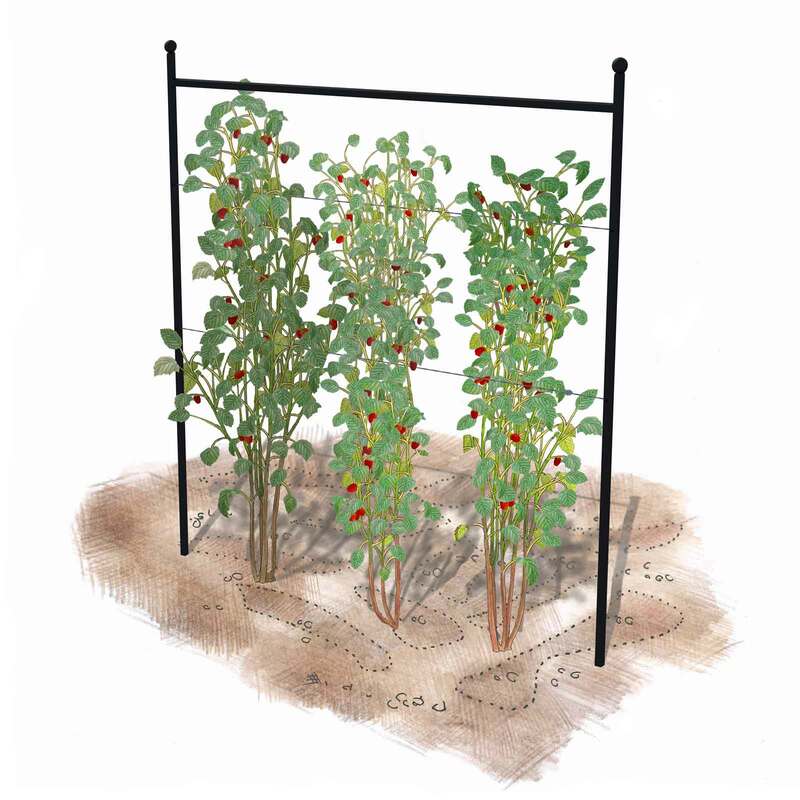 These create an incredibly strong and attractive support system to train fruit plants. 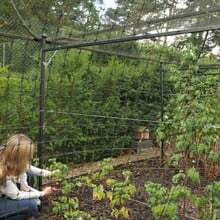 The Summer Raspberry Supports are supplied in 2m or 3m lengths measuring 1.6m/5ft 3" H above ground - uprights insert 40cm/16" into the ground for great stability. Each kit is supplied with 2 steel upright posts, steel cross support and 2 rows of wire spaced 40cm/1ft 4" and 1m 3ft/3" from the floor. Our selection of raspberry canes have been carefully chosen for their good flavour and will fruit for ten to twelve years before they need to be replaced. 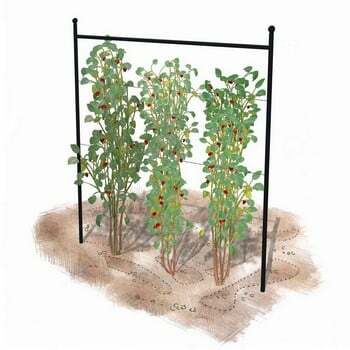 We have used 5 supports for chrysanthemums, not raspberries. They were easy to assemble and position BUT, we managed to break off the screw thread on one of the "balls". The test will come when we remove the supports at the end of the season. 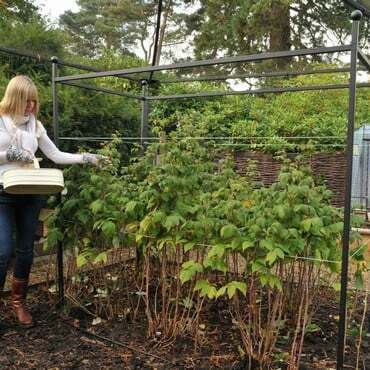 This is a very well designed and sturdy piece of kit, which should serve its purpose for many years. My only criticism is that, as others have said, it would have been helpful if the cable had been cut into two lengths rather than supplied as one - cutting it is quite difficult. Full marks to Harrod for customer service - there was a problem with a misdelivery by the courier (twice!) and Harrod supplied replacements rapidly and without question. Generally very good quality, but had problems screwing finial into nut. Instructions need to be a lot clearer, particularly regarding the steel wire and tensioner. Can only pull wire one way through tensioner (ok, obvious if you thinks about it!). As others have said, wire should be supplied in 2 lengths. This should be easy to address quickly. Many thanks for your feedback, your comments have been passed onto our Design Dept.